Savvy Spending: Bath & Body Works: B1G1 free 3-wick candles! 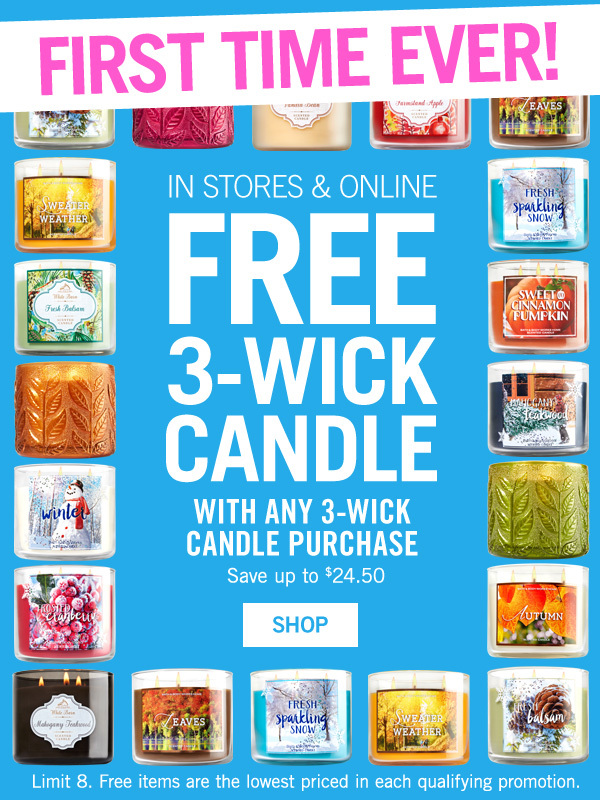 Bath & Body Works: B1G1 free 3-wick candles! 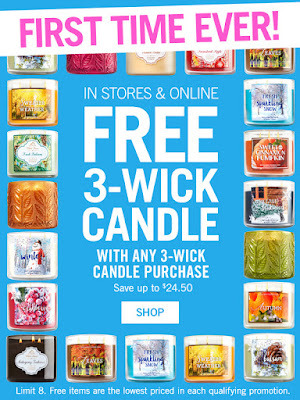 Bath & Body Works is hosting a Buy 1 Get 1 FREE 3 Wick Candle Sale (limit 8) in stores today, October 23rd.